opportunity to bring police and neighbors together. visits from emergency personnel and exhibits. 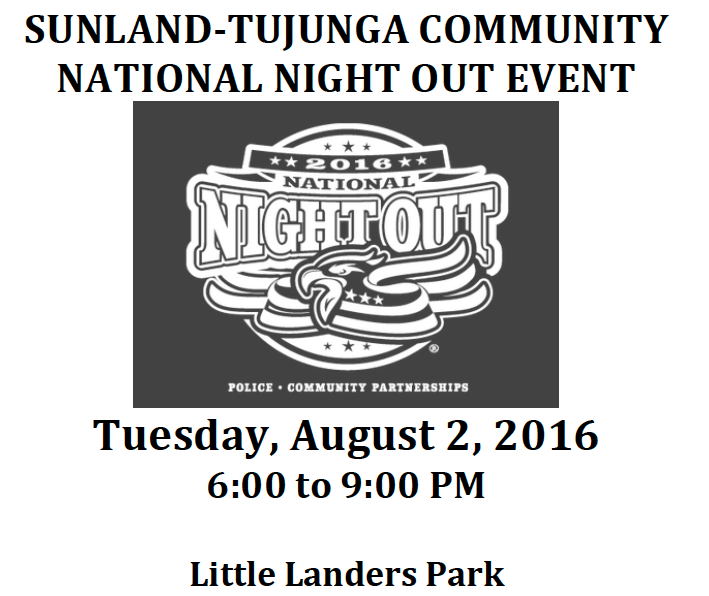 This year’s event will be held at Little Landers Park. Everyone welcome. Bring the family !